Lobsters are invading the Uptown for New Years! 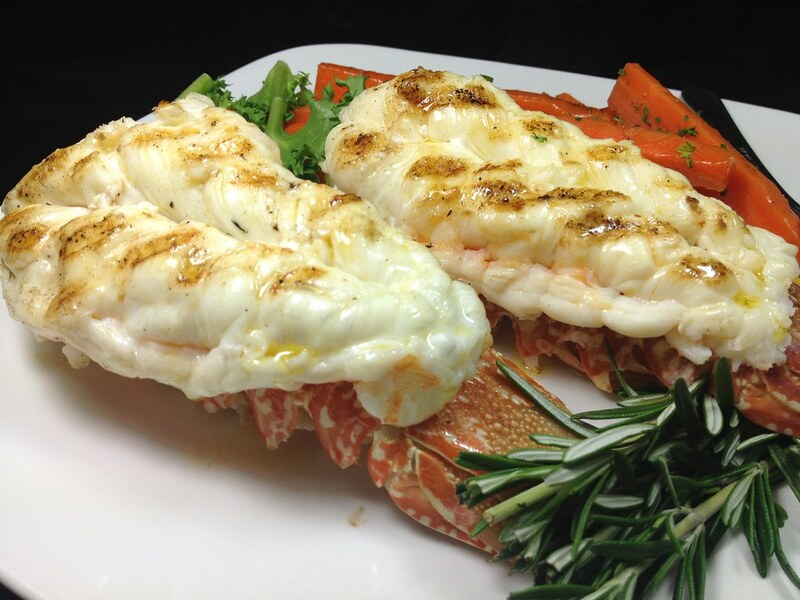 South African rock lobster tails are available in multiple dishes for as long as our supplies last. As a traditional dish, you can find the surf portions of your choice as one tail or twin tails. But for those of you feeling a little adventurous or even a little more hungry, we are offering a variety of turfs to add some flair. You can enjoy your choice of a house-trimmed filet, an English cut of slow roasted prime rib, or for the not so faint of heart - a 16 ounce dry-aged, bone-in chargrilled New York strip... all served with a broiled lobster tail and drawn butter. Rock lobster tails are a unique, rose-colored, cold water species living in the depths of the South African ocean off the southern tip. These lobster thrive in the icy water where they grow slowly and develop a more compact, muscular tail resulting in unique texture and delicate flavor. Once considered the poor man's fish, lobster tails are now a delicacy sought after 'round the world... and we've brought them right to you. But there is some work on your part to get one of them - you just have to show up! Ring in the New Year with us, and you, too, can live a little fancier this year. Reservations are still available for New Year's Eve. Call us at 224-4545 or go online and feel free to set up the reservation yourself!